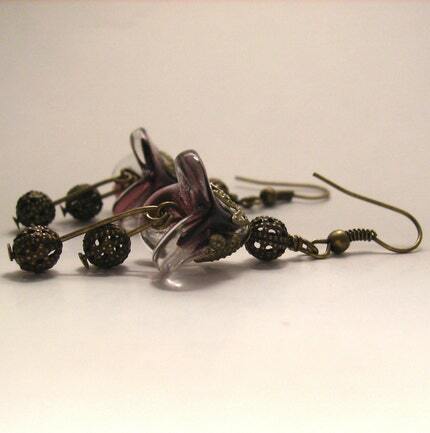 Today's featured shop is Bijoux Designs For You. April and her mother Glenda live near Toronto, and together, create beautiful jewelry, wine charms, bookmarks and more. Our journey has taken us down many paths over the years. At Bijoux Designs For You you will find a variety of fun and affordable beaded jewelry, bookmarks, wine charms and home decor items. 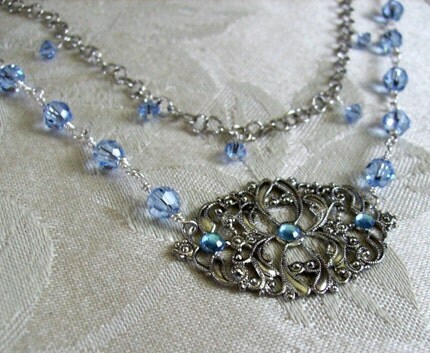 Several years ago I took my mom to a jewelry making class for her birthday, and we were both addicted! We are inspired in many ways. Sometimes its trying something new, sometimes a particular bead or charm will inspire something, sometimes I just feel like I need a new piece for myself to wear and want to share it with the world! 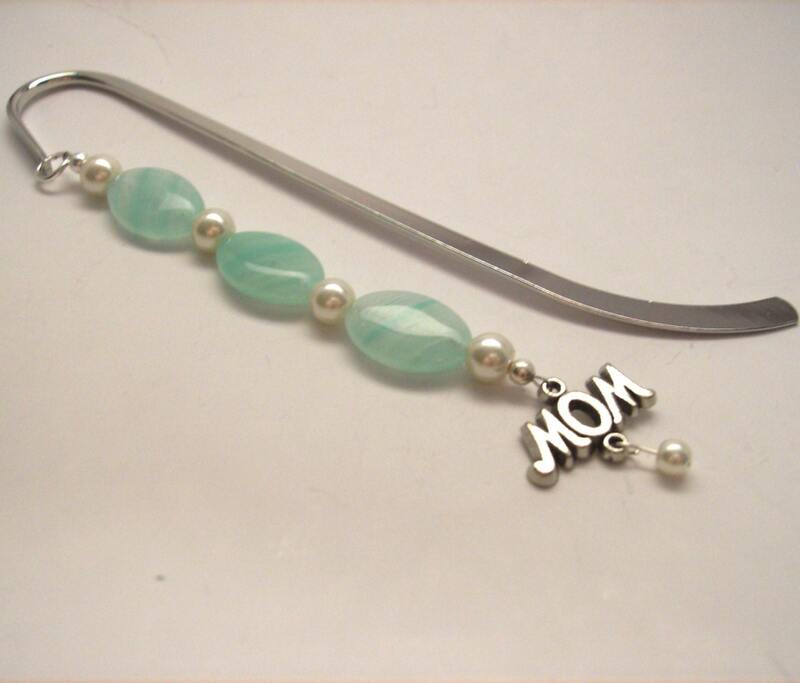 We have just begun to focus on our party favors, such as our bookmarks and are looking to sell them wholesale. We would love to someday open our own boutique selling wonderful handmade items. I am mommy to a beautiful nine month old and I waitress a couple days a week. Other than that I try and catch some sleep sometimes! My mom is talented in so many things. She is also a fantastic cook and baker and I wish I lived closer so I could enjoy her homemade cookies more! Back in the day when I had more time I was an avid reader. Nothing like loosing yourself in a great book. Also pre-baby I think I made shopping a hobby! My mom is also a reader, baker, cook, sewer, painter. She wears many hats. We have been travelling the craft show circuit and doing home parties for years but finally thought we needed to take the online plunge. Mom discovered Etsy and we both instantly fell in love with the community. We also have a shop on Artfire under the same name. After discovering that we have more beads (and can't stop buying them) we also opened a supply shop www.rougeriverbeads.etsy.com. 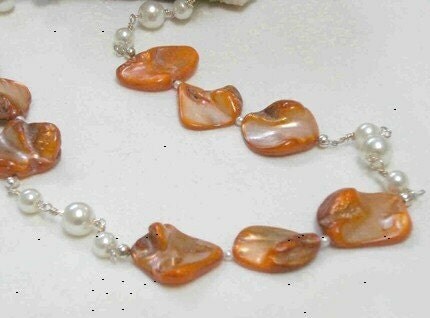 So many fav's but I really do love the shell and pearl necklaces. They are so cute for summer! That just opening a shop doesn't equal sales! It's a constant learning experience to take better pictures, write better descriptions, improve and innovate our products and of course promote, promote, promote! Fun facts: I'm addicted to coffee, the color pink, have a black lab named Lily and still cry when I watch the movie Ghost! See more from Bijoux Designs For You at their Etsy shop. Thank you so much for featuring our shop on your wonderful blog! I hope your readers enjoy learning a little more about us!